What are the applications for XTPL technology? What is the core business for XTPL and how does the Company want to realize revenues? The company aims to provide unique printing heads – each time designed & dedicated for specific application field – as well as compatible, precisely adjusted nanoinks. XTPL’s key objective is to develop & implement tailor made solutions in terms of nanoprinting and ultraprecise deposition for several sectors mainly within printed electronics. The Company plans for the printing heads – enabling implementation of the revolutionary nanoprinting & ultraprecise depositioning technology – to be designed by XTPL, manufactured by external contractors and assembled finally by XTPL. Nanoinks – basing on patented formulas – will be manufactured by a subcontractor. XTPL will directly sell nanoinks (basing on the production capacity of the business partner) and printing heads, as well as implement the technology for chosen customer’s (technological consulting). The Company expects to generate revenues from the sales of dedicated printing heads and nanoinks. XTPL does not exclude also the option of partial licensing of the technology for specific applications in justified cases for partners who will declare readiness for independent industrial development. On what markets does the Company intend to operate? The main directions of business development for XTPL are currently the USA and China. From the perspective of the technology XTPL develops, these are the most absorptive markets. We also see great potential in Singapore, Korea, Taiwan, Japan, South Korea, Germany, France, England, Switzerland, Italy, Finland, Israel, Austria and the Netherlands. We offer globally innovative solution and we have an interdisciplinary team of professionals effectively working in their careers on international markets. Our goal is to revolutionize at first sectors such as: printed electronics, flexible electronics, displays, smart glass, biosensors & anti-counterfeiting solutions. XTPL sees also vast potential in wearables, smart packaging, automotive as well as in solar cells. At what stage of development are the Company’s technologies / devices? The heart of XTPL technology is an innovative printing head designed by the company’s specialists. It works on the basis of a unique algorithm and enables ultra-precise deposition of ink with nanoparticles and creation of structures in submicron scale. This revolutionary design can be modified for dedicated applications and optimized for the selected application field. XTPL printing head, electronics and a unique algorithm form the core of the comprehensive printing system that sets a revolutionary standard in the field of nanoprinting. Inks based on nanomaterials, produced by XTPL, show unique physicochemical properties that enable obtaining the desired parameters and morphologies of conductive and non-conductive structures produced by XTPL. Nanoparticles synthesized in XTPL laboratories exhibit both different size diameters distribution as well as different shapes, such as spheres, wires, rods, etc. Thanks to that we are able to respond fast and flexibly to the needs of our clients. The composition of XTPL’s nanoinks is each time precisely adjusted to specific requirements and is compatible with XTPL printer and printing head to obtain optimum results. The formulation of XTPL inks is protected by an international patent application. The company aims to provide unique printing heads – each time designed & dedicated for specific application field – as well as compatible, precisely adjusted nanoinks. XTPL’s key objective is to develop & implement tailor made solutions in terms of nanoprinting and ultraprecise deposition for several sectors mainly within printed electronics. Currently, XTPL is negotiating its first commercial contract with one of the global leader in the sale of machines for the production of displays, valued at over USD 9 billion. This is the effect of previous work with a Chinese company on a proof-of-concept project. XTPL also conducts similar work (at different stages) for dozens of other potential partners from around the world. In this way, the company confirms the unique capabilities of XTPL technology for specific industries. This is also the final stage of work before negotiations on first industrial implementation are finalized. The partners with whom XTPL currently implements projects to meet the set specifications are international players from Silicon Valley, Asia, Western Europe or the Middle East, specializing in in the sectors of consumer electronics (displays), smart packaging, security printing, semiconductors and biosensors. The final order in terms of commercialization in particular sectors will be determined on the basis of an assessment of attractiveness and potential for rapid implementation as well as customization of XTPL technology to meet given requirements. Is the technology developed by XTPL patented and if so in which countries? XTPL offers complete solution for printing electrically conductive & nonconductive structures on the micron scale. This includes proprietary technology, innovative printing heads and dedicated nanoinks. Patent applications are submitted in collaboration with the British law firm, Gill Jennings & Every LLP as well as Silicon Valley based law firm K&L Gates. How does the Company intend to produce its products? The company aims to provide unique printing heads – each time designed & dedicated for specific application field – as well as compatible, precisely adjusted nanoinks. XTPL’s key objective is to develop & implement tailor made solutions in terms of nanoprinting and ultraprecise deposition for several sectors mainly within printed electronics. The company plans for the printing heads – enabling implementation of the revolutionary nanoprinting & ultraprecise depositioning technology – to be designed by XTPL, manufactured by external contractors and assembled finally by XTPL. 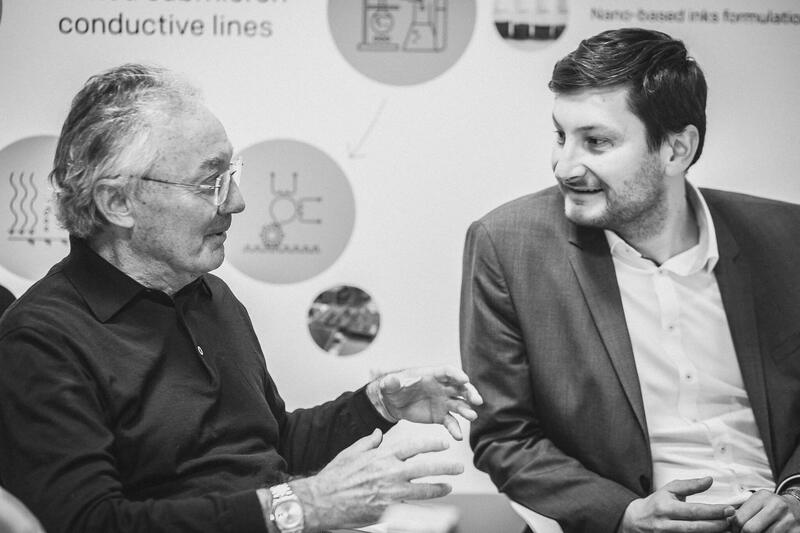 Nanoinks – basing on patented formulas – will be manufactured by a subcontractor. Who is the certified auditor of the Company? The certified auditor for XTPL is 4 AUDYT Sp. z o.o., ul. Kochanowskiego 24/1, 60-846 Poznań. The auditing company is entered on the list of audit firms kept by the National Council of Statutory Auditors under reference number 3363. Does the Company meet with investors? How can you find out about planned meetings? The Company meets with investors regularly, both during individually scheduled sessions as well as during national and international conferences dedicated for the capital market. XTPL communicates with investors through publications, newsletter, social media and responding to questions asked on every available channel and via email address investors@xt-pl.com. The Company plans also to organize investors meetings and investors chats. All those activities are scheduled and published in calendar of events on XTPL website. Does the Company send a newsletter for investors? What information does it entail? How can one subscribe to the mailing list? XTPL sends the newsletter for investors on a monthly basis. It covers most important events, results, reports, news and all other relevant topics. All investors can subscribe to the newsletter on the main page of Investors Relations service, being a part of Company’s corporate website, as well as writing on email investors@xt-pl.com with the directions to be added to the mailing list. Why has the Company not yet commercialized its technology? XTPL developed absolutely disruptive technology that enables ultra-precise printing of nanomaterials. The solution – due to its platform character – will be used in a wide printed electronics sector & provide low-cost, simple, additive manufacturing method for high-tech devices. The technology will also facilitate the production of a new generation transparent conductive films (TCF) used in manufacturing of i.e. monitors, touch screens, photovoltaic cells & displays – where XTPL can also deliver the technology for open-defect repair and quantum dots. XTPL solution may also serve as the sought-after alternative for photolithography used, among others, in the semiconductors sector. The company aims to provide unique printing heads – each time designed & dedicated for specific application field – as well as compatible, precisely adjusted nanoinks. XTPL’s key objective is to develop & implement tailor made solutions in terms of nanoprinting and ultraprecise deposition for several sectors from some of which we have already received specifications to validate the technology. The implementation of those specifications and technological tests for potential clients are the key phases of most negotiations. In this way XTPL confirms the unique capabilities of the technology for specific industries. Many industry sectors have already challenged us to address specific technological problems it is faced with. We take up those challenges, each time optimizing and calibrating our technology – printing heads & nanoinks – to suit the particular sector. Such advanced technological enterprises require time and a longer incubation period, but the expected profits are also significantly higher. What are the greatest competitive advantages of the Company? Open defects repair: micro- and nano-conductive structures are indispensable in the broadly understood electronics (i.e. integrated circuits, LCD/ OLED displays, PCBs, solar cells and many others). This sector faces a major problem related to those fine conductive structures often being damaged at the production stage. The repair methods currently available on the market are very limited, complicated and costly. XTPL offers a new breakthrough solution that allows defects in conductive paths to be repaired at low cost, with precision and speed unparalleled to any other existing solution. Transparent Conductive Films: the solution developed by XTPL will facilitate the production of a new generation of Transparent Conductive Films (TCF) that are widely used in manufacturing, primarily in the production of displays, monitors, touch screens & photovoltaic cells. Currently, the most commonly used TCF layers are based on indium-tin oxide (ITO), which has serious disadvantages, that is why the industry is looking for new technology as an alternative to ITO. XTPL solution presents such alternative. Apart from the revolutionary technology the Company has other major assets. XTPL team consists currently of over 45 people in Poland and US – scientists and technologists with interdisciplinary expertise in: chemistry, physics, electronics, mechanics and numerical simulations (including 10 PhDs), as well as specialists in strategic management and commercialization, product development, implementing innovation, marketing & communication and capital market. The company is being supported by an international advisory board, with Harold Hughes & Amir Nayyerhabibi as its first members. Harold Hughes is the former CFO of Intel and former CEO of Rambus, a semiconductor industry veteran and advisor to several successful electronics companies. The projects he engages in – especially those in the field of developing pioneering technologies – carry an unquestioned mark of quality, and the companies supported by him achieve currently valuations counted in billions of dollars. Another experienced American business player in XTPL’s advisory board – Amir Nayyerhabibi – is a partner at Benhamou Global Ventures, an investment fund from Silicon Valley. Amir is an expert on semiconductors. In the past he was the creator of, among others StratumOne Communications, which in 1999 Cisco took over for USD 435 million. Later, in Cisco itself, Nayyerhabibi was the key manager. This “serial entrepreneur” – as the Wall Street Journal once wrote about him – supports us in dealing with the great industry in the USA. From what sources does the Company finance its current operations? The primary current sources of funding for the Company are funds acquired from the public subscription of series M shares – almost EUR 2.5 million – as well as grants and subsidies. The most important projects which received co-financing from the European Union funds are: “Developing an innovative technological process for the production of a new generation of TCF layers for use in displays and thin film photovoltaic cells” – EUR 2.3 million, “Filing a PCT patent application for a method of manufacturing ultra-fine conductive metallic lines” – EUR 0.09 million, “Development of demonstration prototypes of a laboratory printer with compatible nanoink formulas towards commercialization and marketing of ultra-thin conductive line technology for use in printed electronics” – EUR 0.6 million. Furthermore, the Company carried out two private emissions of shares for two Germen Investment funds: ACATIS Investment (EUR 1.0 million) and Deutsche Balaton AG Group (controlling entity of Heidelberger Beteiligungsholding AG – EUR 1.05 million). The capital raised in those emissions is to be used for further strategic strengthening of commercialization of the company’s solutions in the United States and development of its patent portfolio. Why is it worth investing in XTPL? Technological innovation developed by XTPL has every potential to first revolutionize and after to become a standard in many selected areas of printed electronics sector. Just as today we cheaply and quickly print newspapers and books, in the near future we will print displays, solar cells, biosensors and other advanced elements. This is not just a vison anymore. This is fast upcoming reality. The area for the application of XTPL technology is growing rapidly. In 2017, the value of the entire printed electronics market was estimated at over USD 29 billion, in 2027 it will be over USD 73 billion. The Company expects to generate revenues from the sales of dedicated printing heads and nanoinks as well as from licensing of the technology for specific applications for partners who will declare readiness for independent industrial development. XTPL as the beneficiary will gain an access to markets which size is measured in billions of dollars. If successful, the commercialization of XTPL solutions for those markets will also mean a huge growth in terms of Company’s value, a growth based in large proportion on the intellectual property secured by the Company. Such advanced technological enterprises – as one conducted by XTPL – require time and a longer incubation period, but the expected profits are also significantly higher.